Refer to any of the recent books on Great Northern equipment by David Hickcox, Scott Thompson, Joe Shine or John F. Strauss, Jr. 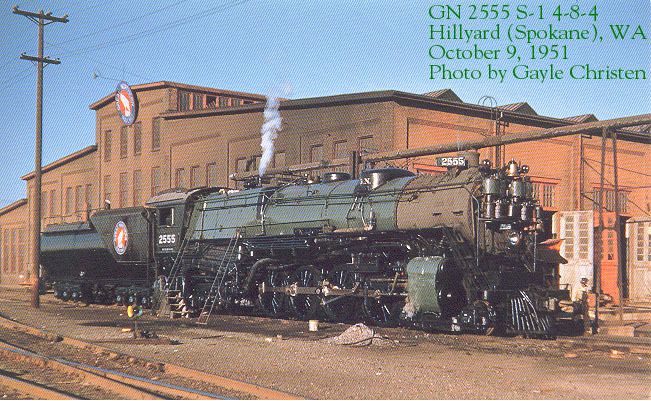 Most GN Steam engines were usually black with a large GN logo on the tender. 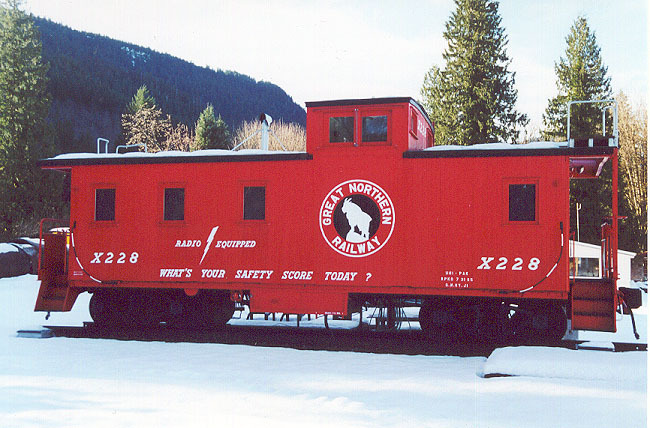 Some steam engines received what was unofficially known as the "Glacier Park" scheme which consisted of a green boiler, white or graphite smokebox and sometimes a mineral red cab roof. Since it was an unofficial paint scheme which differed from shop to shop, there were many variations. 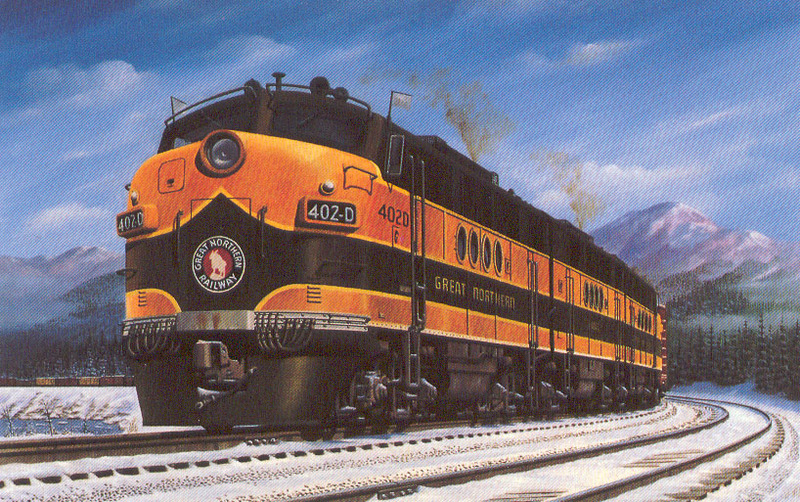 In the early 1950's, GN began painting all steam locomotives in basic black up until the end of steam in 1957. From 1926 to 1941, Great Northern's diesel locomotives (mostly switchers) came in basic black. Like the steam engines, they generally had a large GN logo on the side. The famous Omaha Orange/Pullman Green/gold stripe "Empire Builder" scheme first appeared on Great Northern's EMD FT diesel locomotives built in May 1941. In 1962, GN introduced what was dubbed by some the "Simplified Scheme" which appeared only on the diesel locomotives. This consisted of Omaha Orange on top, Pullman Green on bottom and no gold stripe. The idea was to save up to one day in painting a locomotive. The passenger equipment continued to be painted in the original EB scheme. 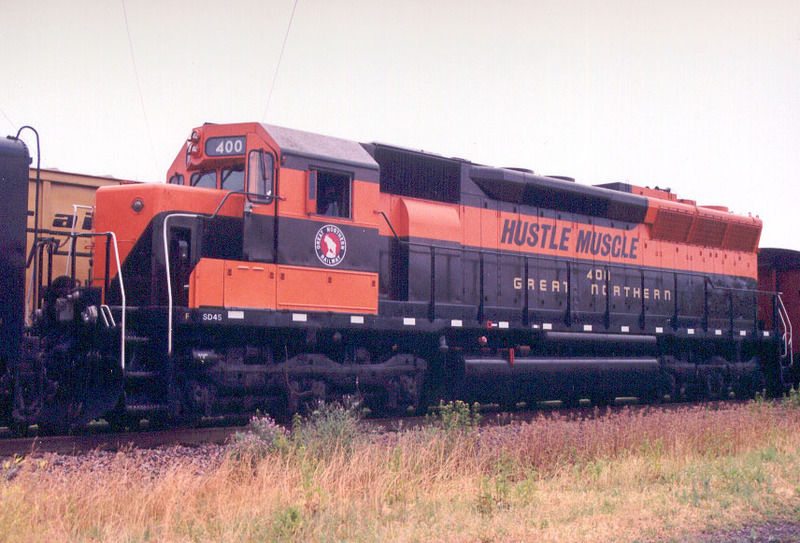 Some "second generation" diesels such as GP30's, GP35's, SD45's, also received orange BELOW the cab. In 1967, Great Northern began their "Big Sky Blue" era. Diesel Engines received Dark Gray on top, a thick white stripe and Big Sky Blue below. The BSB scheme continued until the Burlington Northern merger on March 2, 1970 when BN's "Cascade Green" was introduced. From 1924 to 1947, Great Northern all-steel "heavyweight" passenger equipment consisted primarily of Pullman Green cars with gold leaf lettering. Earlier passenger equipment (mostly wood) will not be covered here. 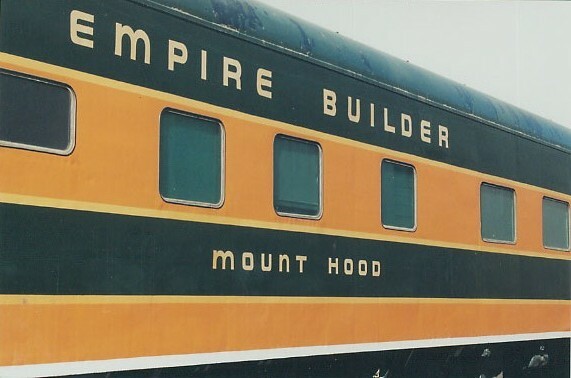 1947 saw the delivery of the "Postwar Edition" of the Empire Builder from American Car & Foundry on which the orange/green/gold stripe scheme first appeared. All subsequent passenger car deliveries for various GN trains used this same paint scheme. At first, only the streamlined lightweight passenger equipment wore the orange/green/gold stripe. 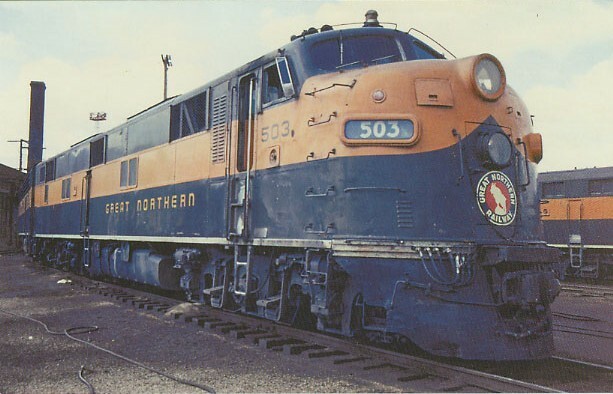 Later on, some heavyweight equipment was painted into this scheme to better match lightweight equipment on trains like the Western Star, Fast Mail and others. When the "simplified scheme" (see Diesel Engines above) was introduced in 1962, the passenger equipment kept the original Empire Builder scheme. 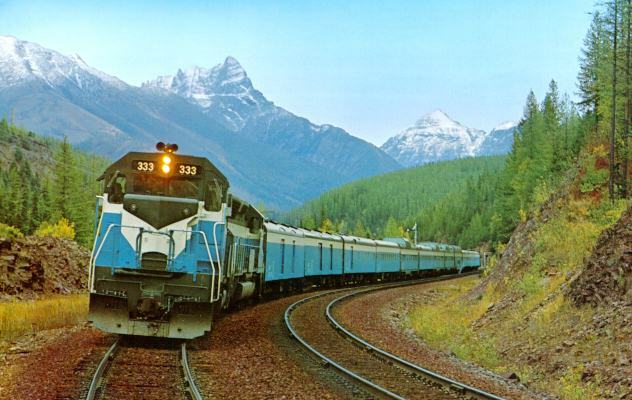 In 1967, Great Northern began their "Big Sky Blue" era. Passenger Equipment received Dark Gray on Top, a thick white stripe and Big Sky Blue below. Up to 1956, most freight equipment was either brown or mineral red. 1956-1961 freight equipment was painted "Vermillion Red". 1961-1967 freight equipment was painted "Glacier Green". 1967-1970 freight equipment was painted "Big Sky Blue". painted yellow with brown ends. There were also some box cars with orange on top and Pullman green on the bottom which were built and ran from the late 1940's on. Many of these were express boxcars and the orange/green paint scheme helped them blend in better on trains like the Western Star, Fast Mail and others. Up to the mid-1950's, GN cabooses were painted a caboose red with yellow lettering. 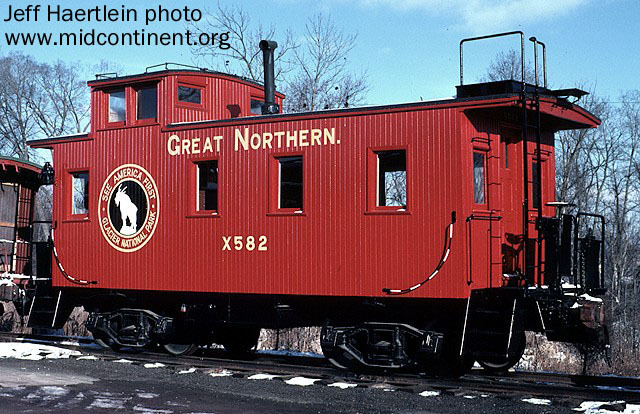 From the mid-1950's to 1967, GN cabooses were painted caboose red with white lettering. 1967 to 1970, GN cabooses were painted Big Sky Blue. 8 - What's Your Safety Score Today? Question (to Duane Buck/GNRHS): Which company produces the closest color match for passenger train engines (F3 and F7) with the Walther's "Empire Builder" GN passenger cars or their other GN passenger cars? Answer (to Duane Buck/GNRHS): If you have some of the earlier P-2000 locos, I'm certain that you have noticed that the orange on the Empire Builder cars and the associated F7's have a more reddish tint. The green on the cars and F7's is fine. The latest release of F3's has a lighter orange color that is more prototypically correct. Since the paint colors are formulated in China where the models are manufactured, the only effective way to match the paint is to mix the colors. Probably the easiest way would be to use readily available FLOQUIL paint. Use Reefer Orange with a slight amount of Caboose Red for the Empire Builder and F7's. For the earlier locos, use Reefer Orange with a slight amount of Reefer Yellow. For the green color use 4 parts Pullman Green, 1 part + Engine Black and 1 part Tuscan Red. 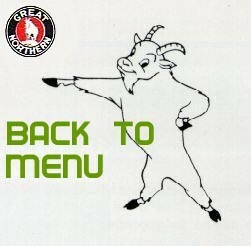 Some minor adjustments may be required. As for the yellow striping (FLOQUIL Reefer Yellow) used on the E/B cars, the GN paint diagram shows "Imitation Gold" for the striping. However, the gold does not give a sharp delineation between the orange and green colors as the yellow does. Therefore the manufacturers have generally gone to yellow because the appearance is more aesthetically pleasing to the eye and provides a sharper definition between colors. GN diesel paint diagrams show that yellow striping was utilized.